The Vietnamese and US delegations emphasised the centrality of energy security to sustained economic development in light of rising energy demands. Both sides affirmed the importance of improving the transparency and predictability of Vietnam’s energy sector investment climate through private sector-led development and regulatory reforms. 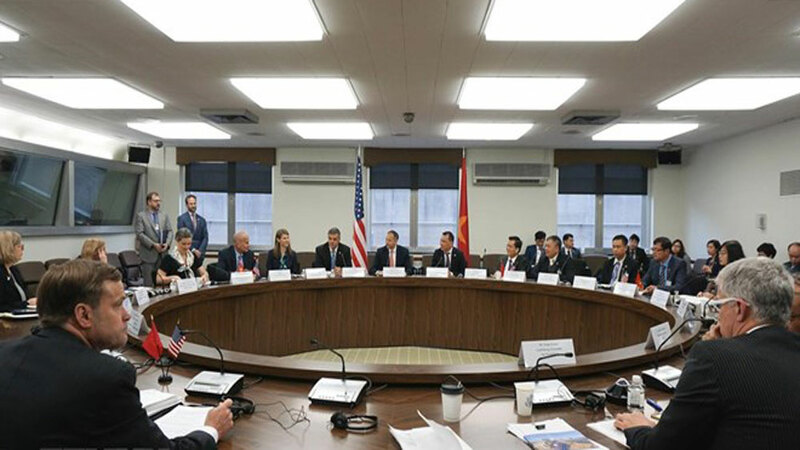 The US and Vietnam delegations committed to continued cooperation in all of the areas discussed in the dialogue and to review progress at the third Vietnam-US Energy Security Dialogue to be held in Vietnam in 2020. (BGO)- Nguyen Van Thanh Long (born in 2000) has graduated from Lang Giang No 3 high school who is one of a few students accepted to become a Party member when he was still at high school. Long not only proactively takes part in the youth union's activities but also fancies scientific and technical research. Prolonged and intense heat with temperatures surpassing 40C in northern Vietnam during the past week has led to Vietnam setting an all-time peak electricity usage record, according to the Vietnam Electricity (EVN). The design of a clean energy future in Vietnam was announced at a conference held in Hanoi on June 5. Minister of Industry and Trade Tran Tuan Anh has proposed that the Swiss Government continue paying attention to cooperation with Vietnam in energy development, renewable and green energy as well as climate change response. According to the national renewable energy development strategy through 2030, with a vision to 2050, Vietnam will gradually increase the ratio of renewable energy in energy production and consumption to reduce dependence on fossil fuels, thus contributing to energy security, mitigating climate change, protecting the environment and obtaining sustainable development.